Our PAL Programme facilitates the all-rounded development of students and develops their social and emotional competencies. 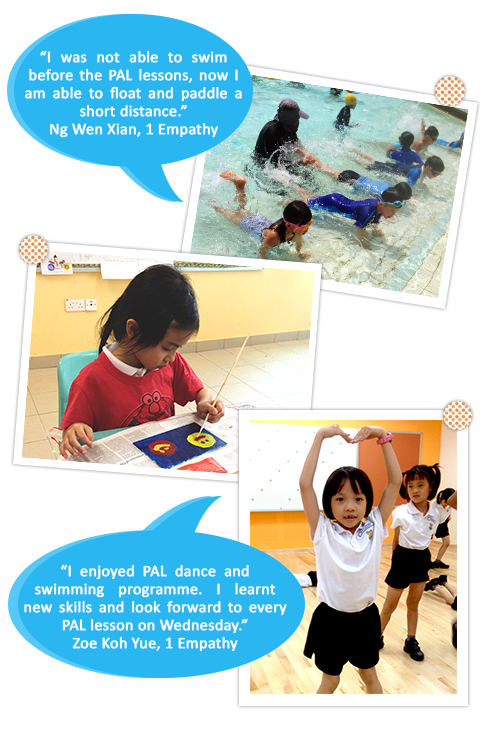 The students embarked on a journey of 3 modules to learn swimming, hip-hop dancing and canvas art. The objectives of the swimming programmes were to allow our students to gain confidence and develop independence in the water, as well as learn general and deep-end water safety. Techniques taught include forward and backward movement, safe entry and exit, and introduction to personal water survival skills. For hip-hop dancing, students were exposed to basic rhythm and beats and body isolation movements. Students also learnt about symmetry and the use of different types of media to create canvas art pieces. Through our PAL programme, students developed skills and values that will help them grow up to be confident team players and independent learners. 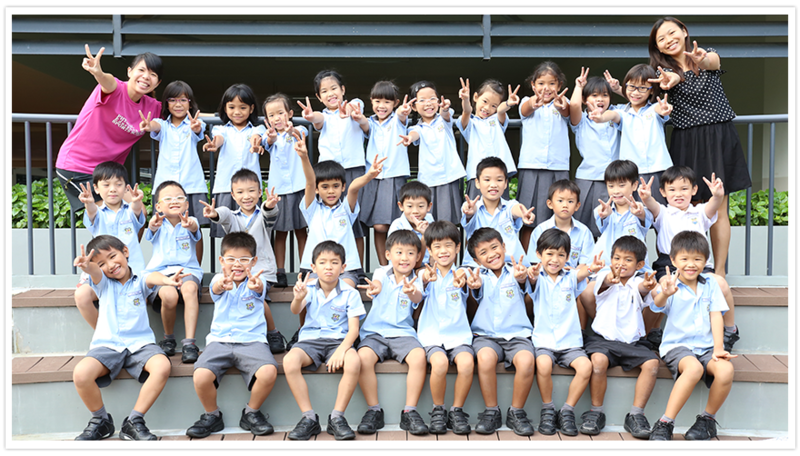 We hope that our young ones continue to grow and glow as they move on to the next year. In Alexandra Primary School, our students were equipped with knowledge about how the building and structures in our environment were constructed to meet the needs of our citizens. The values of respect, patience and responsibility for the needy were emphasised during assembly talks and art lessons. Our students were able to empathise with the needy to design structures that could help them to move around easily. 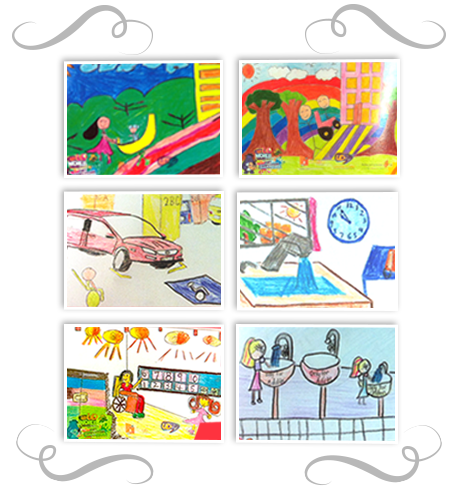 Some of our students’ artworks were shortlisted and published. Every student was given an art diary in recognition for their participation. Art teachers taught students how they could continue drawing and designing, using the art diary as an art sketchbook. Students were taken outdoors to do on-site sketches of the structures in their school environment. International Friendship Day commemoration took place on 11 April 2014. The day’s programme started with a costume display by students who donned the national costumes of different countries. 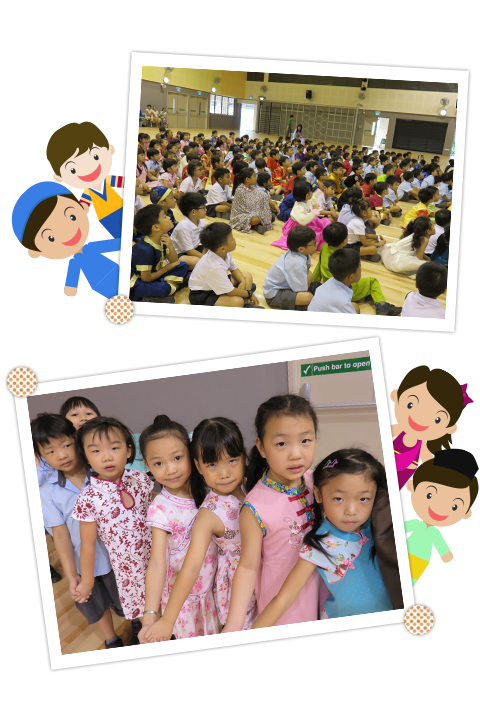 Students learnt more about the heritage and culture of Vietnam through a short presentation during the assembly period. 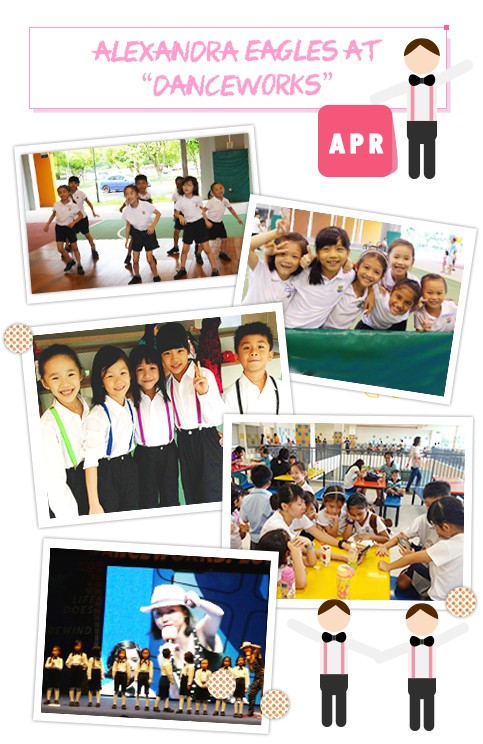 Together as a school, teachers and students gathered for a “Friendship Dance”. As a class, students penned their greetings from the different countries around the world to make a friendship chain. These friendship chains were displayed in the school library in commemoration of the event. The commemoration provided a good opportunity for our students to learn and appreciate the various cultures in cosmopolitan Singapore. Alexandra Eagles, a team made up of 9 girls and 1 boy from ALPS, took part in “Danceworks!”, an annual dance competition organised by the Central Narcotics Bureau, Singapore. Under the guidance of Mrs Jesse Wan and Miss Syakirah, the team went through eight weeks of rigorous training to prepare themselves for the competition. The students had fun putting the routine together and at the same time, learnt the importance of staying away from drugs. 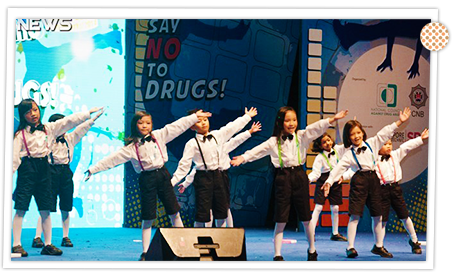 This important message was displayed through the theme of the dance - ‘Life does not rewind, say no to drugs’. Although the Alexandra Eagles was the youngest participating team in terms of age and experience, the judges were impressed with its performance. They commended the team on their ability to portray the moves sharply at the right timing and being quick-witted with the props. The team also received tremendous support from Mrs Lim, Miss Chan, their families and friends who were there to cheer for them. Well done, Alexandra Eagles!